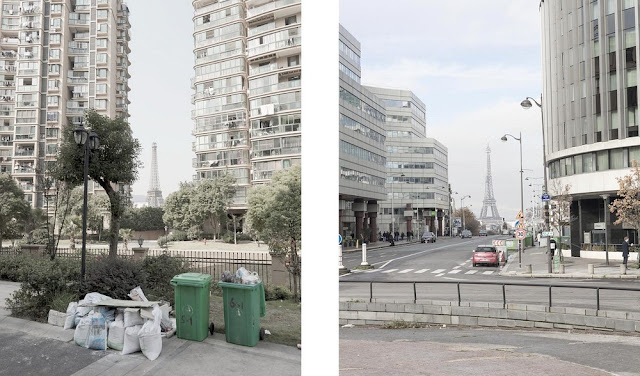 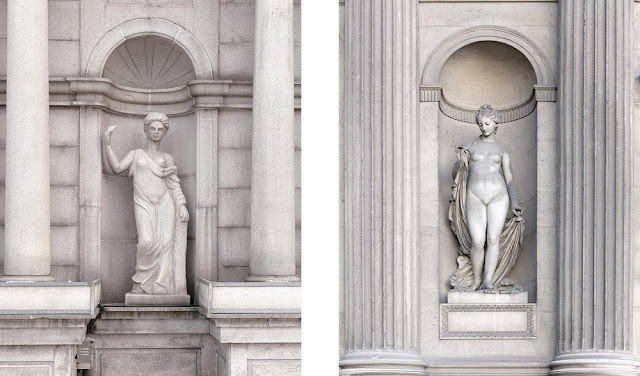 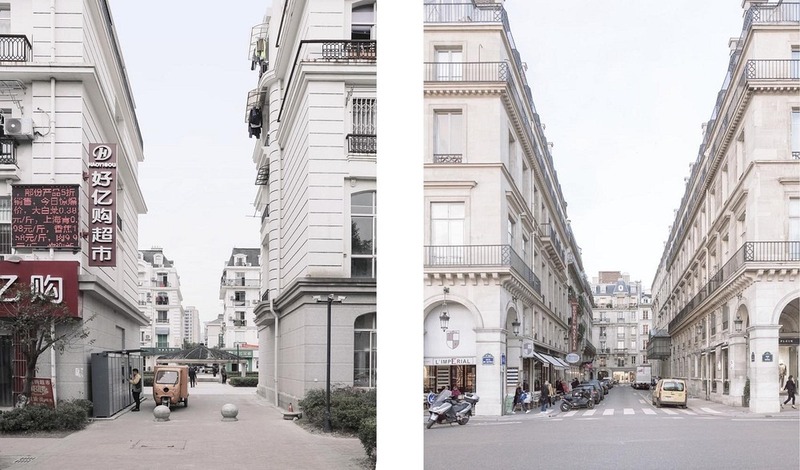 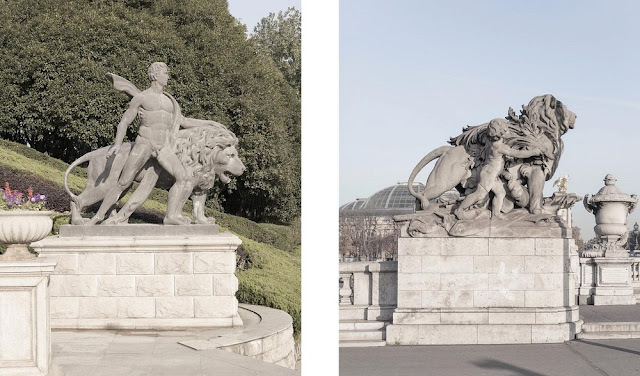 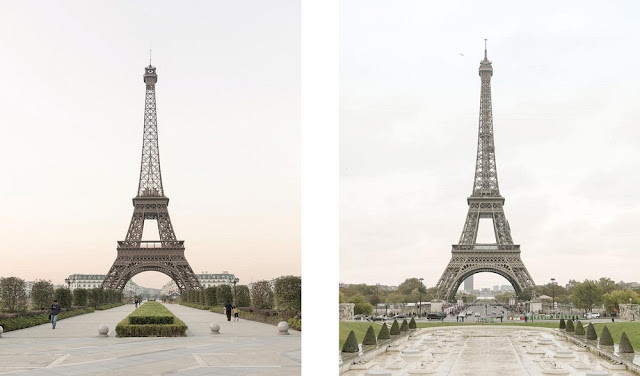 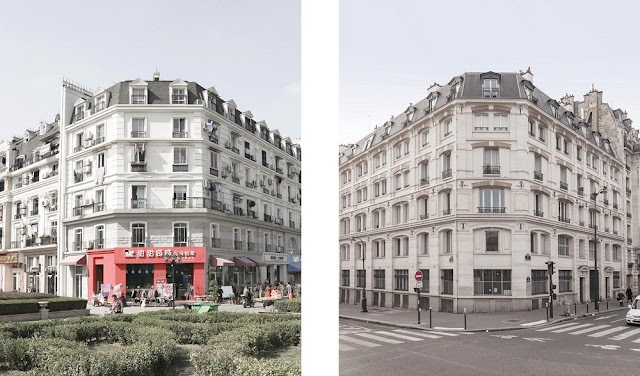 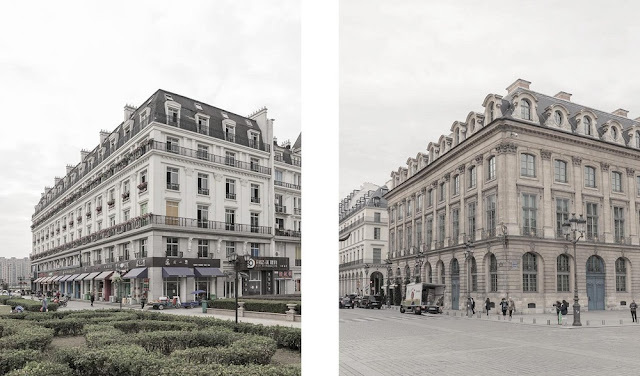 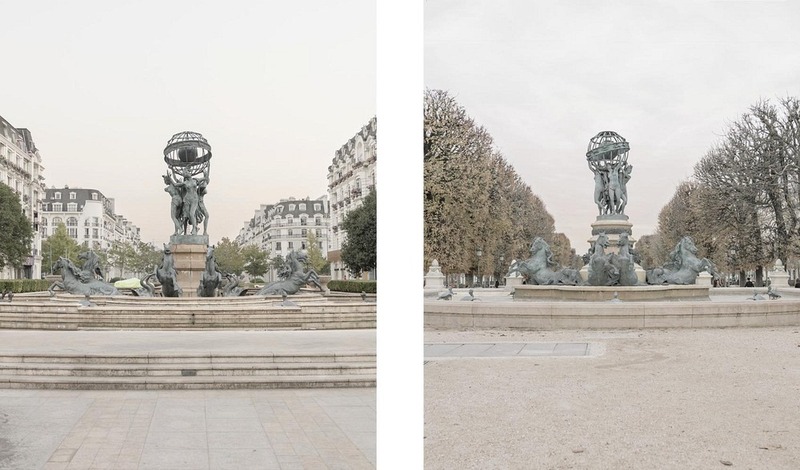 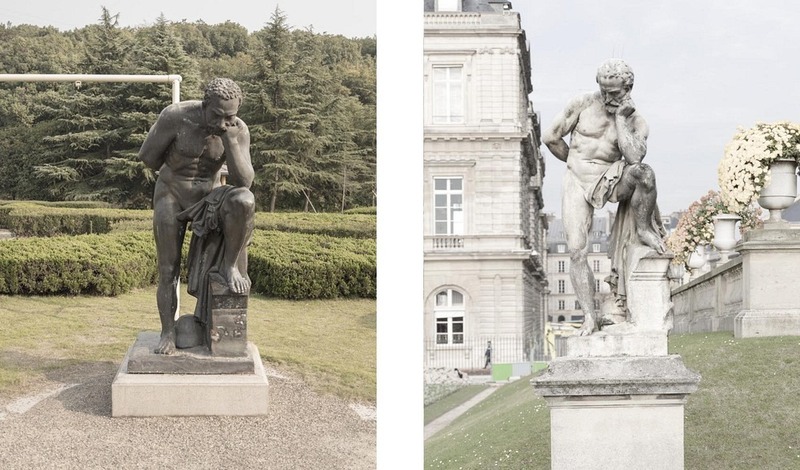 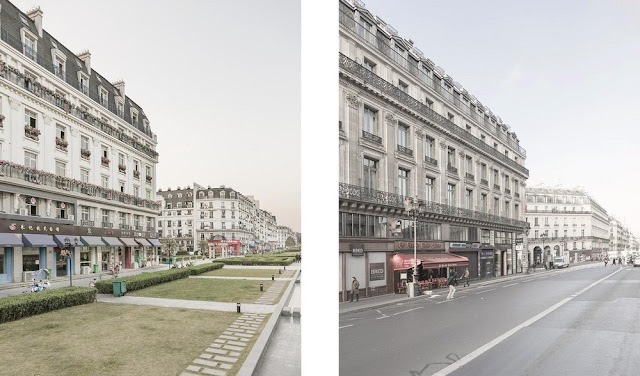 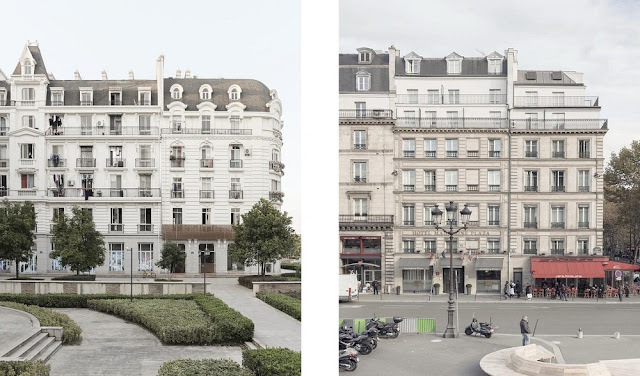 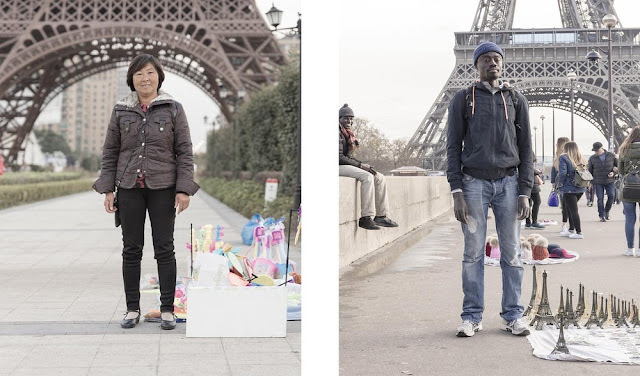 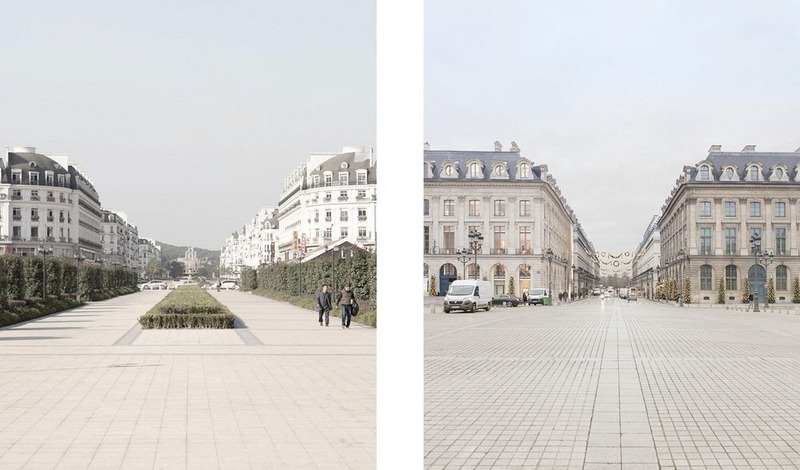 These photos are from a series called “Paris Syndrome”, by Paris-based photographer François Prost, where Prost places scenes from the French capital side by side with similar buildings in Tianducheng. 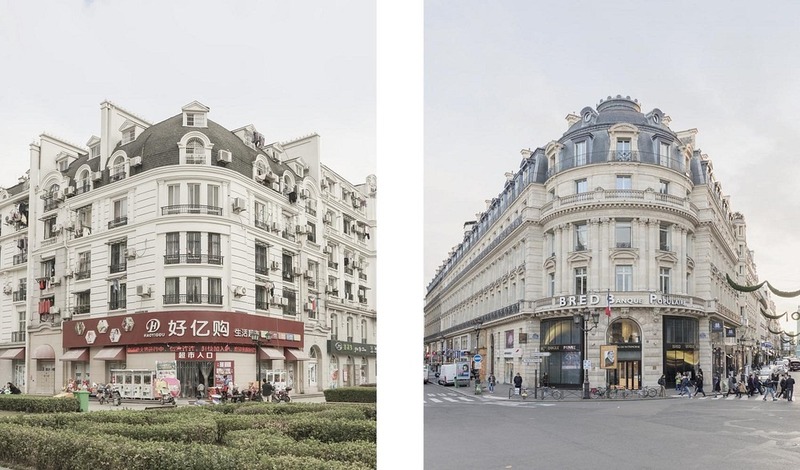 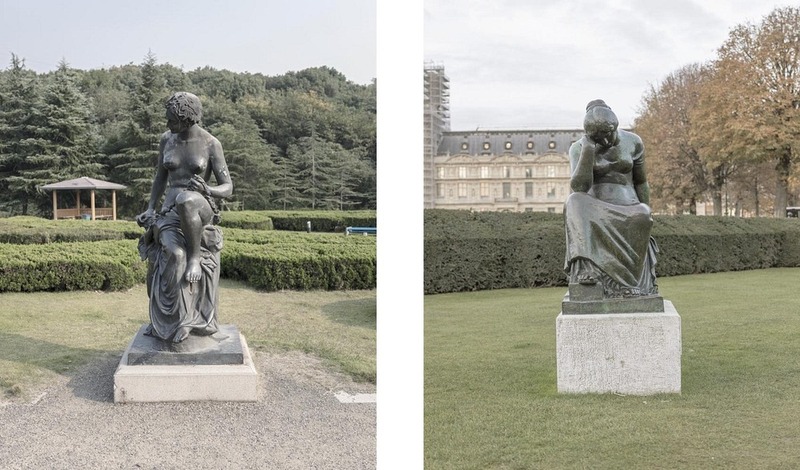 There are shots of wide French boulevard lined with traditional Haussmann-era apartment buildings and classical Parisian public sculptures and streetlamps, that are difficult to tell apart from the original. 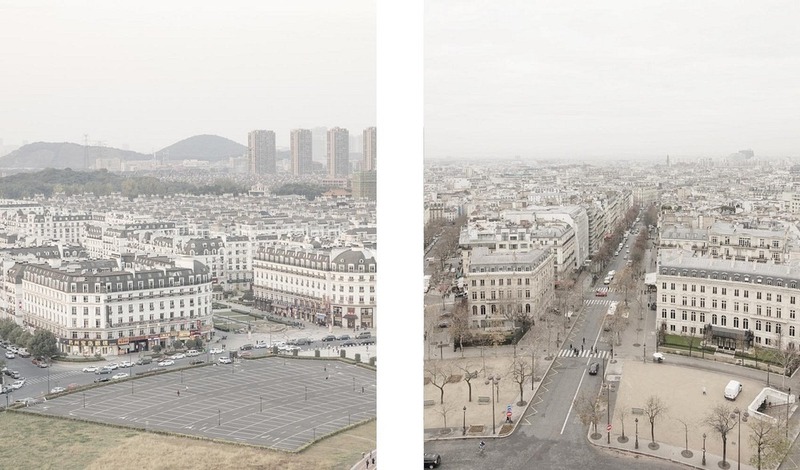 All photographs on the left is in China.